Sun Setting silhouettes kissing on the sand. 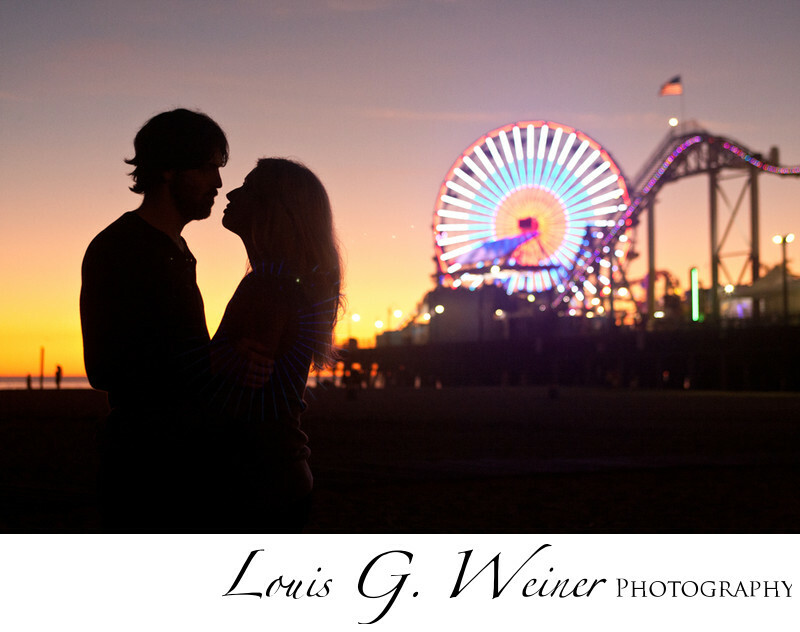 This session was at Santa Monica Beach. They live not far from this beach so it has special meaning to them. It was great how playful they are together. They ran in the waves, kissed under the pier, and cuddled on the empty life guard stand, their joy was contagious. Location: Santa Monica pier, 200 Santa Monica Pier Ste A, Santa Monica, CA 90401.